Christmas is fast approaching and if you're wondering what to get for the man in your life, maybe this giant billboard featuring David Beckham for the Breitling watch brand will be able to inspire you. 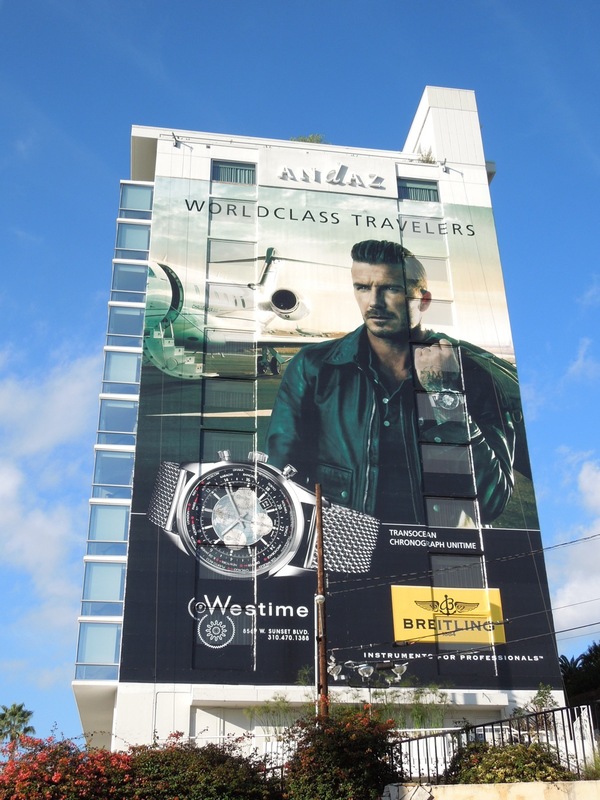 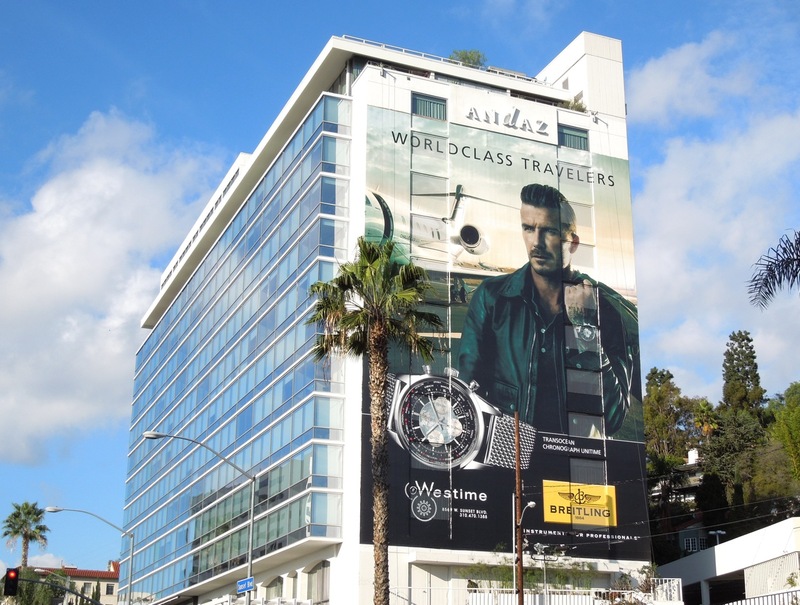 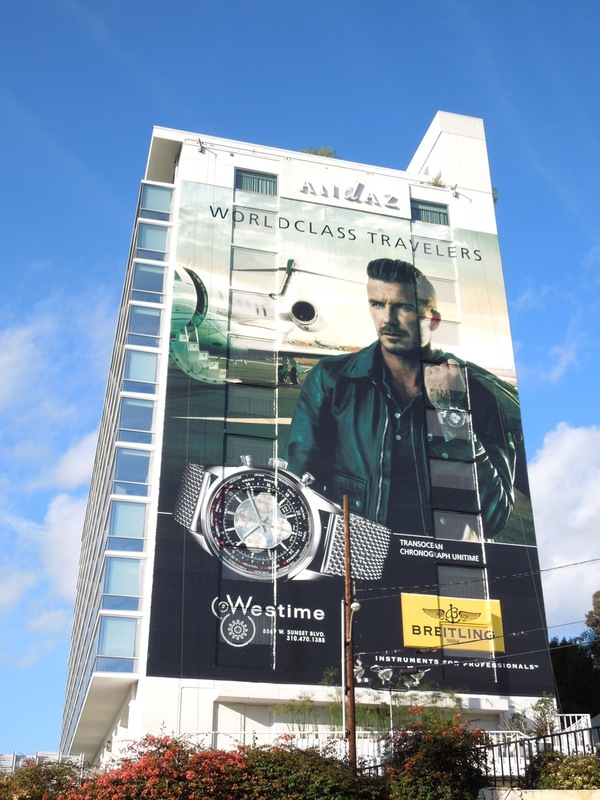 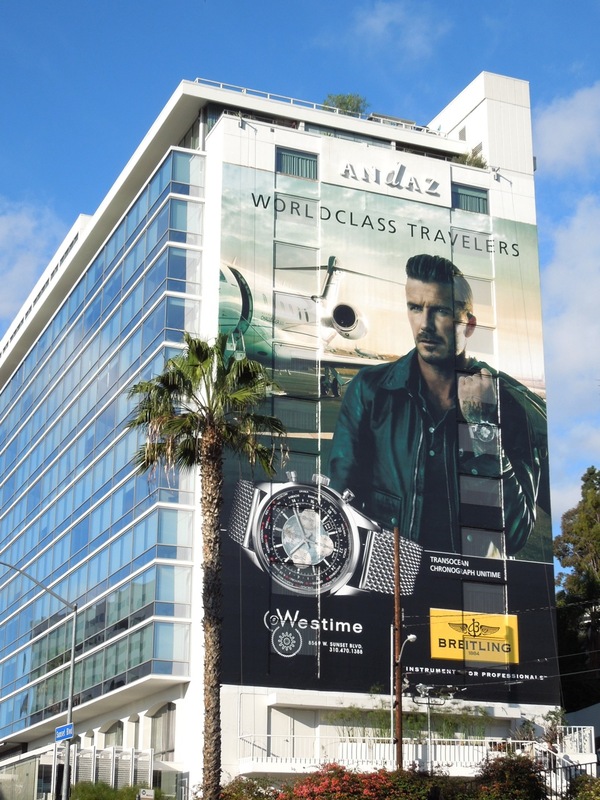 Whether you are a world class traveler or simply want something to help you tell the time, this luxury watch will certainly help you to make a style statement, just like this striking ad does on the side of the Andaz Hotel along Sunset Boulevard in West Hollywood on December 15, 2012. 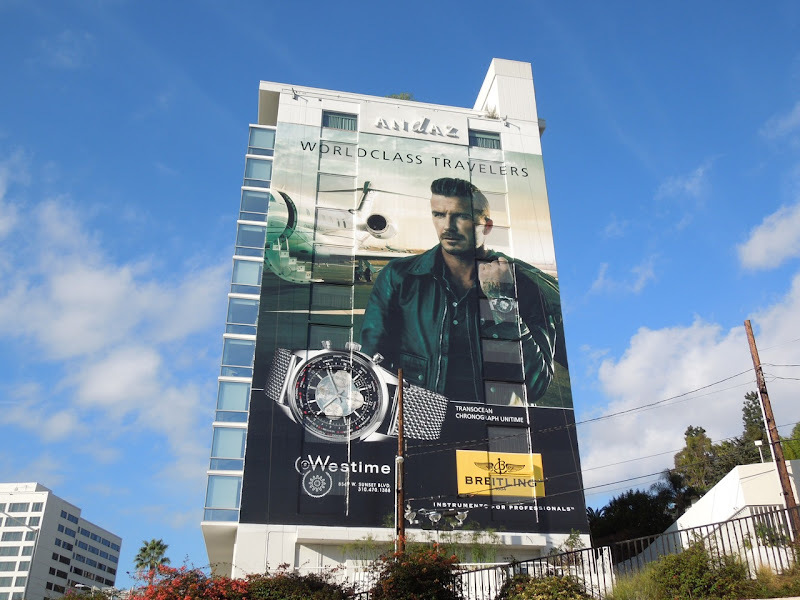 There's nothing like a celebrity and an atmospheric creative to help catch your eye, especially at this time of year when everyone is trying to grab your attention. 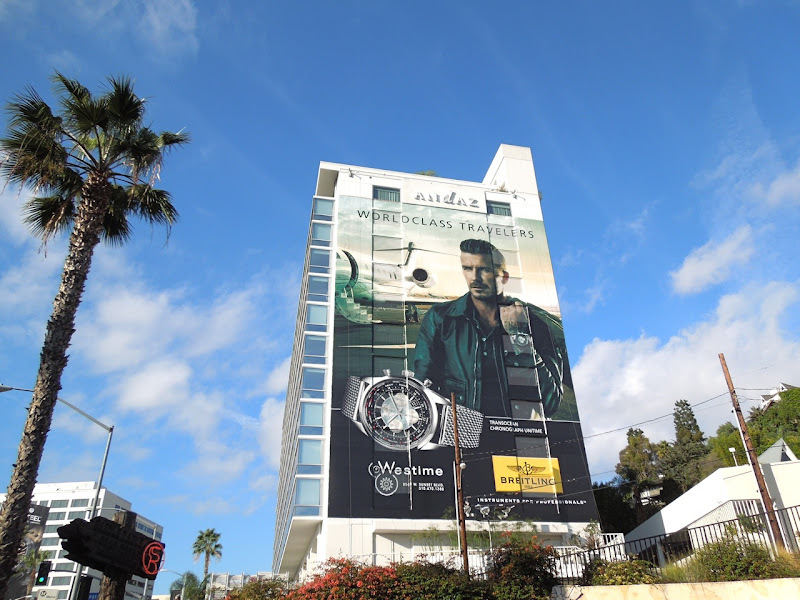 If you're an admirer of the English soccer star, be sure to also check out these David Beckham H&M underwear billboards and these Emporio Armani underwear billboards. 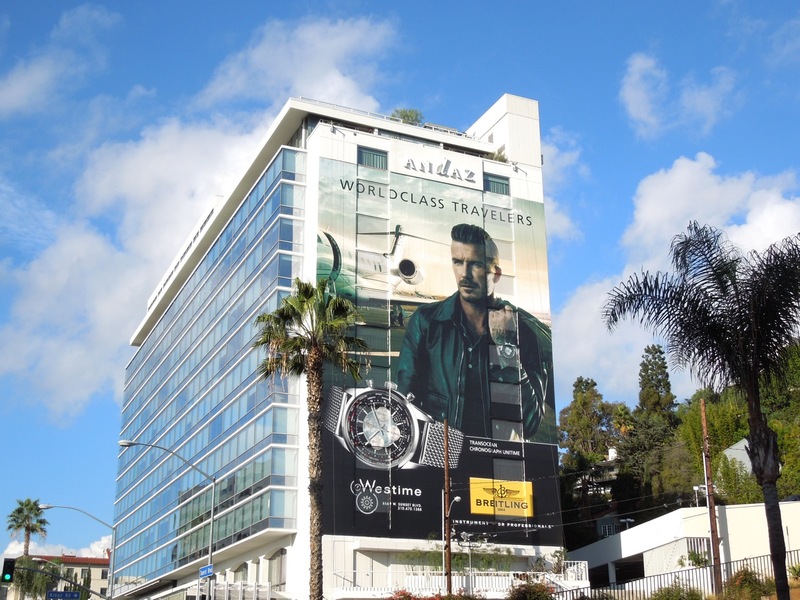 Plus be sure to check out more fashionable watch billboard ads here at Daily Billboard.